Theft is the unlawful taking of someone else's property with the intent to deprive the owner of the property permanently. Theft may be charged as a misdemeanor or felony having serious consequences, including fines, restitution, counseling, probation, jail and in some case prison. The consequences will depend on the value of the property taken as well as the prior record of the accused. Theft is committed when an individual unlawfully takes another person’s property. 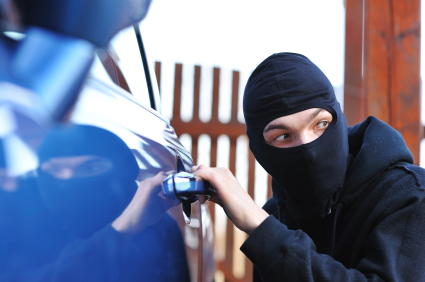 Theft can be committed through intentional acts, bad checks, or failing to return property. Crimes of theft can range from obtaining by false pretense, larceny, burglary, theft of property, or embezzlement. Generally speaking, it is unlawful for anyone to steal, take or carry away the personal property of another. Theft charges can be serious depending on the value of the property stolen and/or the criminal record of the defendant. In most cases, first offenses such as shoplifting are punishable by a small fine and 1 year of informal probation. In some cases, a first offense of shoplifting can be reduced to an infraction thus eliminating any criminal record. A second theft/shoplifting offense is a much more serious matter because of the consequences. A second offense can be charged as Felony Petty Theft (also called petty theft with a prior) and is punishable by a year in county jail or even 16 months in state prison. Many theft-related offenses can be charged as either misdemeanors or felonies, depending on the circumstances surrounding the theft and the value of the property taken. A prosecutor may even charge both a felony and a misdemeanor. Theft laws can bring very severe penalties that can change your life forever. If you are facing theft charges, you need the aggressive defense that an experienced criminal defense firm will provide. We are focused on your legal needs and we will work with you to plan and strategize your theft case so we can get your criminal charges reduced or dismissed. If you are charged with a theft crime you must speak to an experienced attorney so that he can properly evaluate your case. The attorney will discuss your rights and possible defenses. Developing a defense strategy early on in the case is an important step prior to discussing settlement or going to trial. Whether you have a criminal case involving theft, petty theft, or shoplifting, you should contact The Sheena Law Firm today to discuss your case.